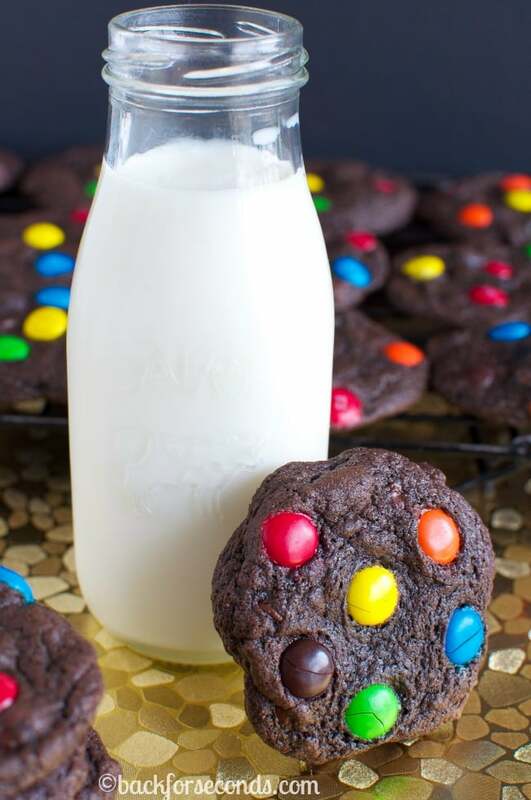 These are the perfect cookies for any party, bbq, or picnic! 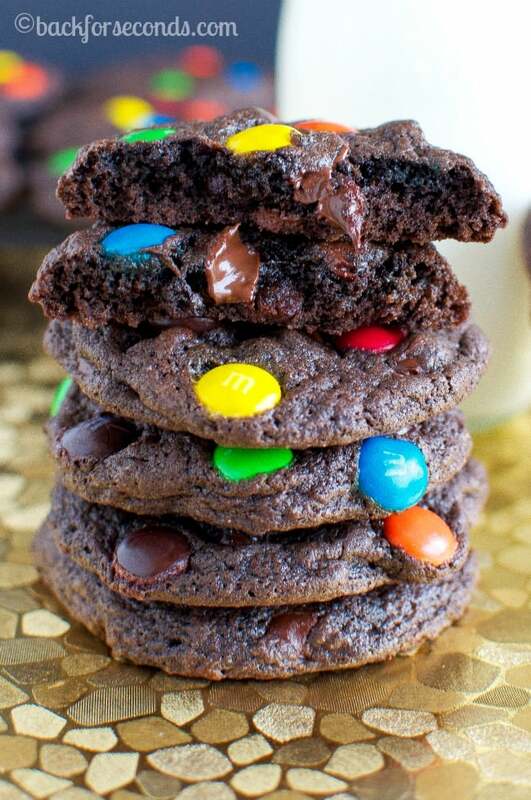 I think it’s hard for anyone to turn down a cookie loaded with M&M’s. These are sure to be a hit with everyone you share them with! I have not been cooking or baking much at all in the past 4 months. This pregnancy has been hard on my body and I just couldn’t stomach all the smells! But on this particular day, I wasn’t feeling too bad, so I pulled up a couple chairs to the counter and my little boys and I got to work on these cookies! I’m pretty sure they ate as many M&M’s as they put on the cookies, but that’s the whole fun of helping mom bake, right? If you love brownies – or chocolate, these are a must make for sure! Enjoy! 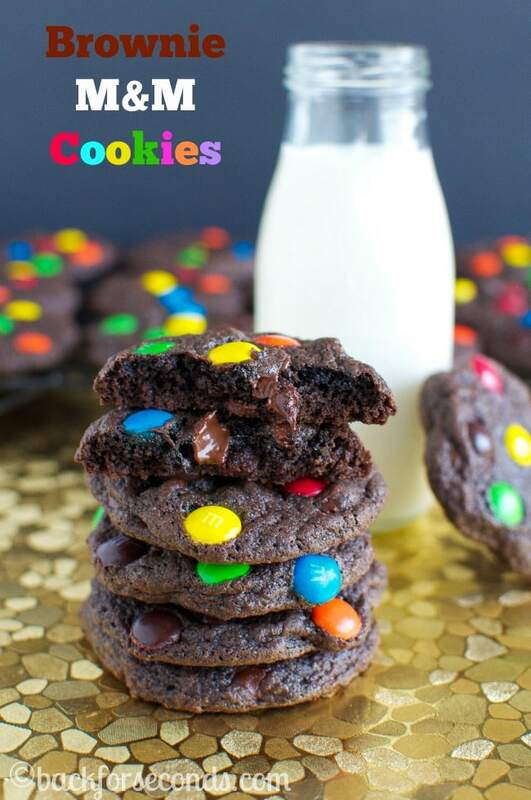 I won’t event lie…I’m checking to see if I have enough time to get in the kitchen and make these before bed tonight. I’m pinning them because I’ve got to have them! 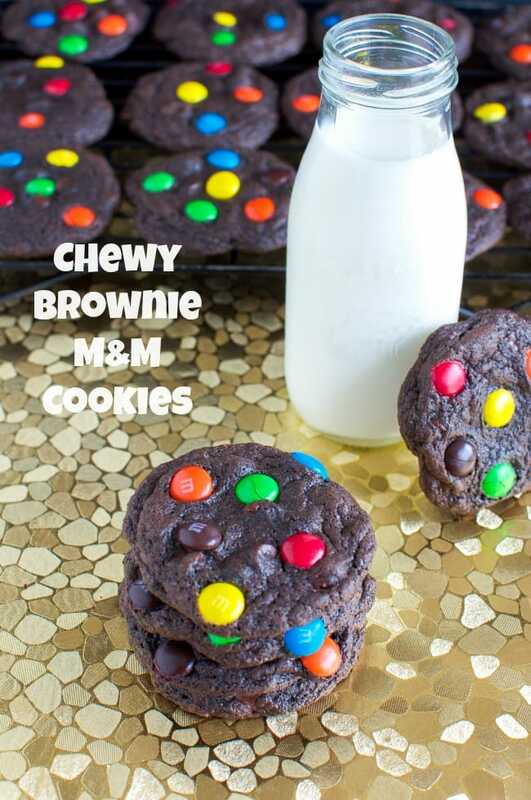 I love fudge like brownies and M&M cookies are just great so I can’t wait to try them out together! !